Lonesome Pine overlook, photo by Laurel. 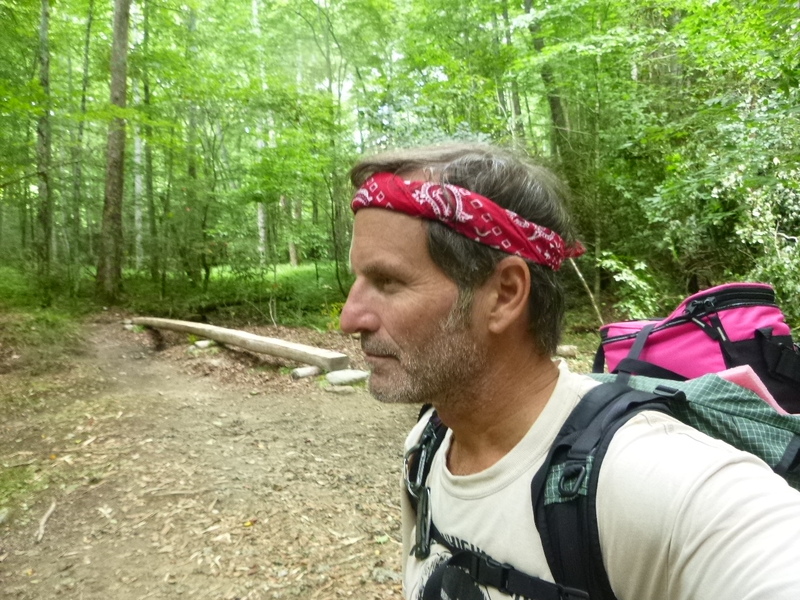 JD was gracious enough to invite me and Laurel to hike down to campsite 58 on Deep Creek. Since Laurel was in Athens, Ga, we decided it would be fun to meet there and she could come in from Bryson City. 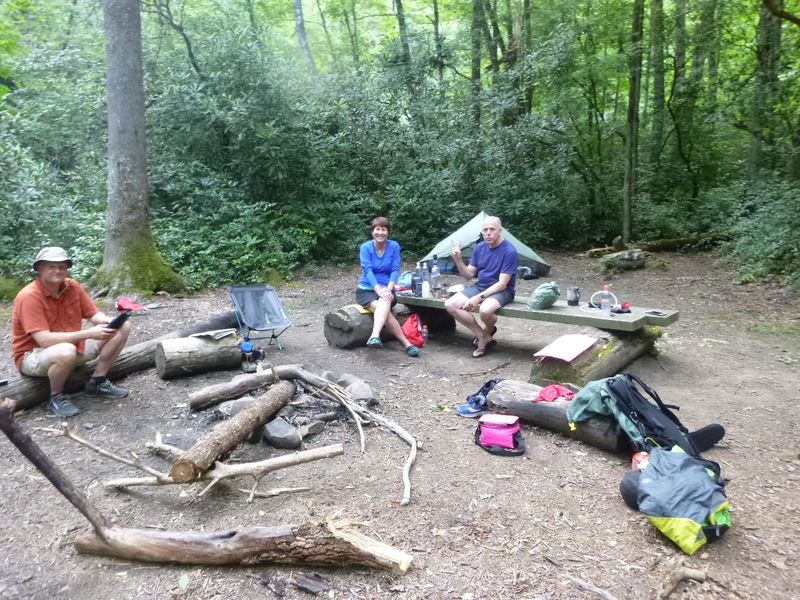 Laurel ended up doing 12 miles yesterday as she came up Noland Divide, down Pole Road Creek and into 58. 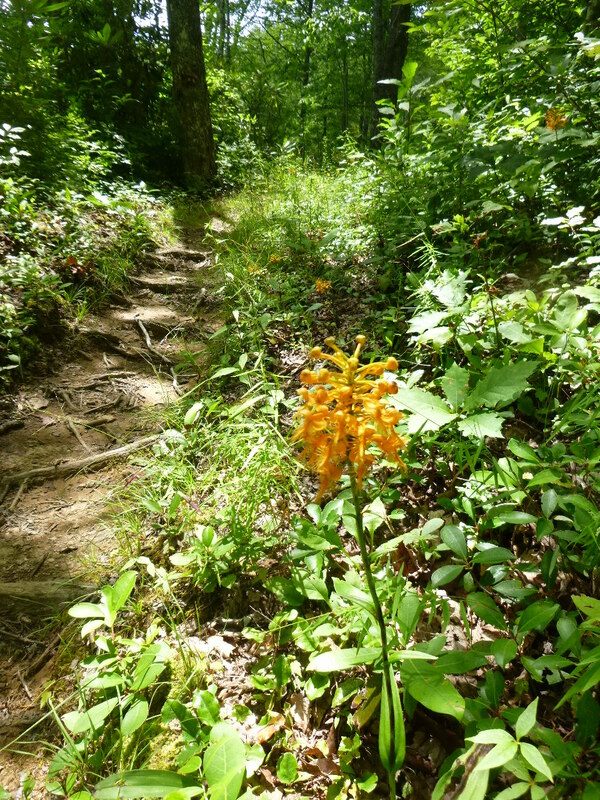 I hiked down from Clingman’s on Noland solo, flanked by a swath of Yellow Fringed Orchids. It had been a while since we returned to backpack on home turf. 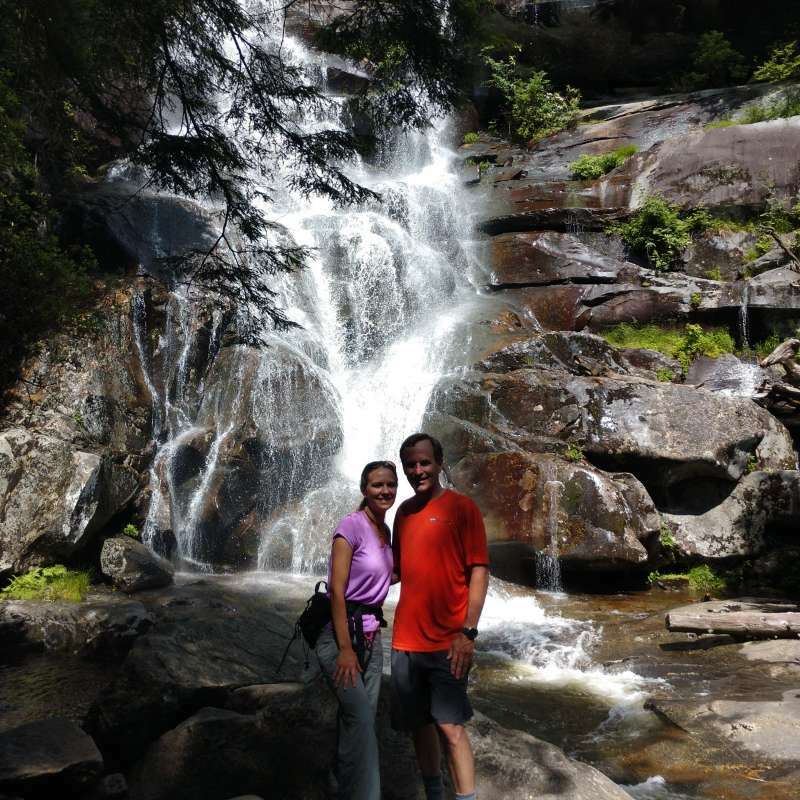 I wanted some alone time in the Smokies and told JD I would meet them and Laurel in camp. Right off the jump, I scared a bear not five minutes downhill. They didn’t have a map or any water so I remedied that. 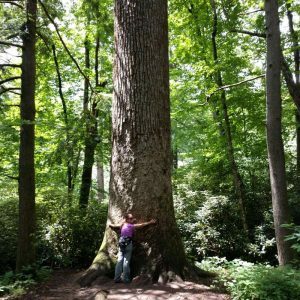 It still amazes me how people can go into the Smokies without a proper map or sufficient water not knowing where they are. I was less than 10 minutes from JD’s camp and my intended overnight home. JD was laughing when I arrived at the two women who admitted their mistake to him. I believe he castigated them over their lack of preparation as well. Laurel arrived a couple of hours and several miles later. 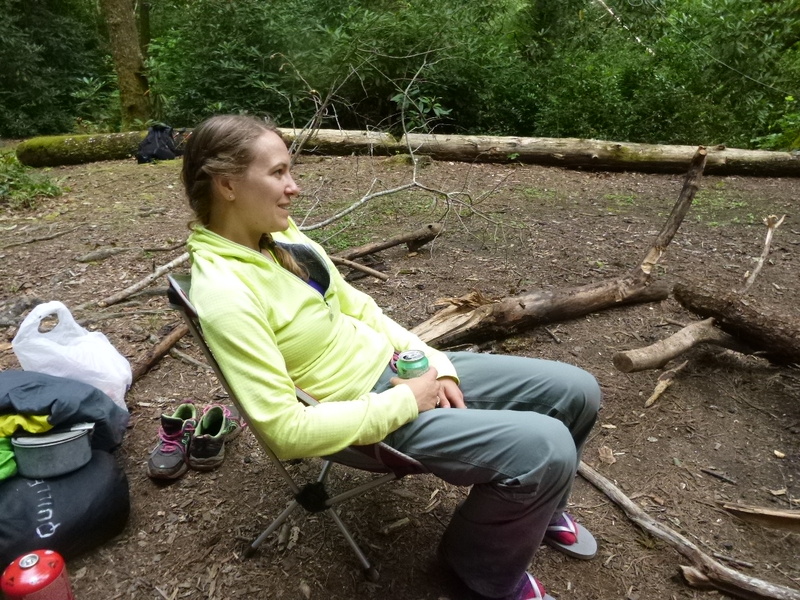 She earned a seat around the fire and we recounted her grand ascent of Noland, new miles for her map. She is an intrepid adventurous gal, unafraid to tackle a trail solo. 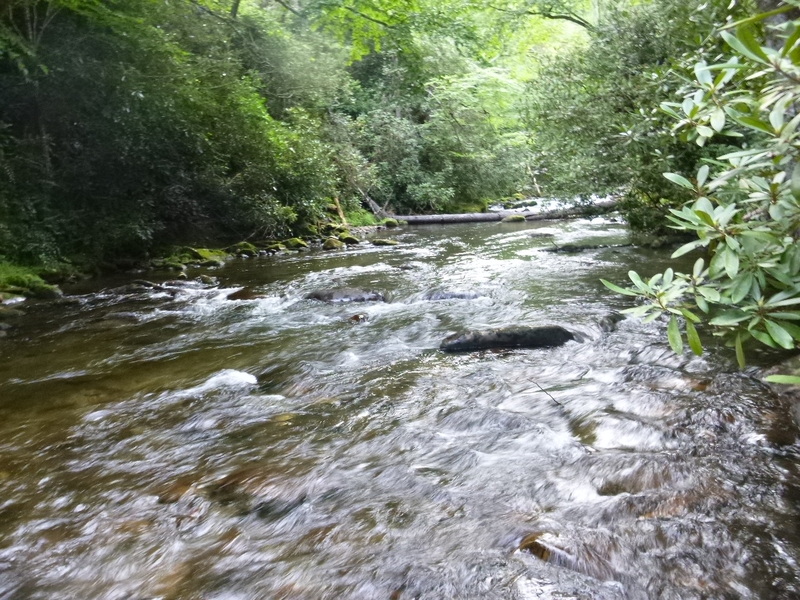 Deep creek was awash in fly fishermen and apparently the fishing was good, according to the creels we saw coming out of the water. Must be a good hatch presently. 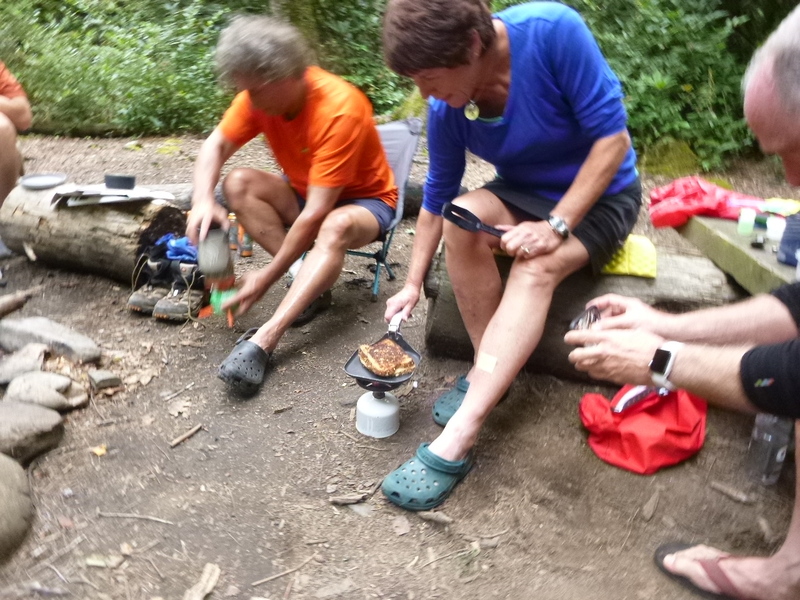 JD oversees Terri cooking a grilled cheese while Bill photographs. 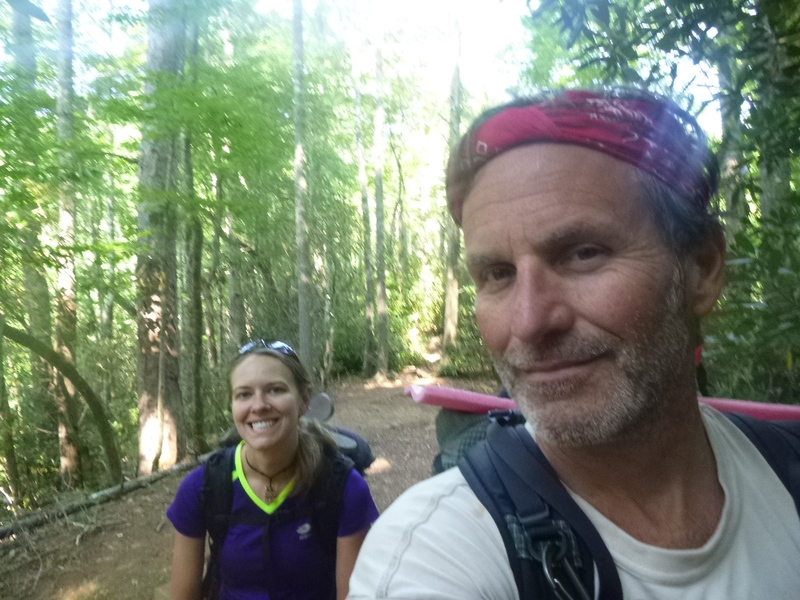 Laurel convinced me to hike back out to Bryson City with her in the morning after we enjoyed a roaring fire under the moonlight sky of Deep Creek. It didn’t take much arm twisting. She wanted Pizza at Anthony’s. This means she had to shuttle me back up to the dome, then return back to Bryson City and do three more hours back to Athens. Thanks Honey! We had a wonderful time, I swam with the tubers and gorged on pizza. 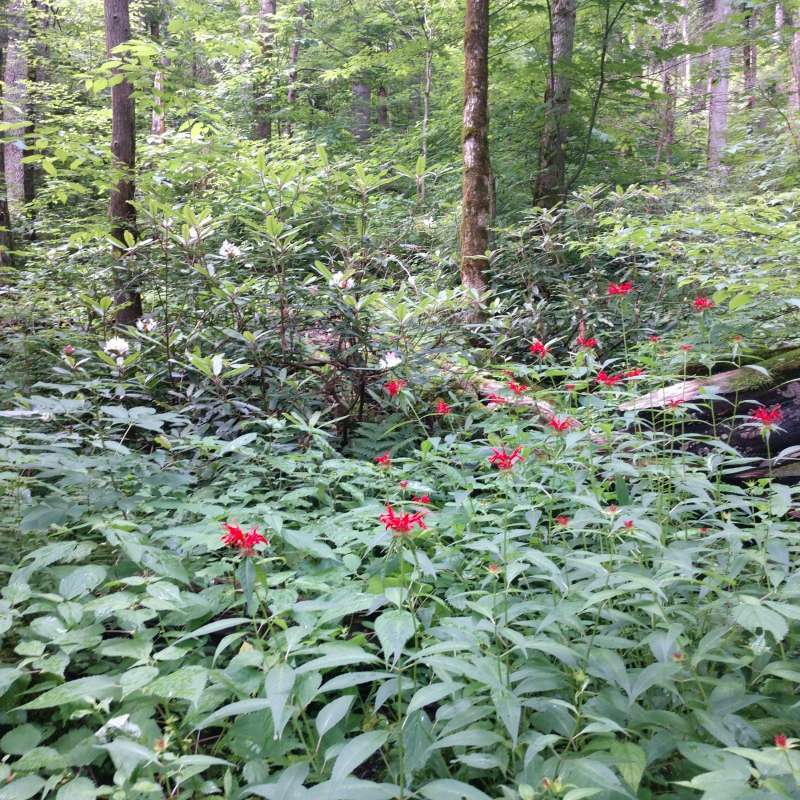 JD’s group is eclectic, well mannered and respectful of themselves and the environment. It was a pleasure spending time with them and returning to home turf. We have another big one planned for next weekend so stay tuned. Some of you aren’t on Twitter so I’m going to share a newly discovered photo from our summit push on Everest. This is a photo of Sange, Neal’s Sherpa, taking Chherring Sherpa off the rope immediately after being stricken by the rock. You can zoom in and see the blood in the background. It was a bloody mess. Fortunately, thanks to the hard work of our Sherpa and Neal, Chhering lives to climb another day after a week in the hospital. I sure wish those guys would consider helmets, though. As you can see, it was of utmost importance to get him down to some easier ground and begin working on a helicopter. We had two of the best Sherpa in Nepal. Many thanks to Sange and Ang Dawa, not only for what they did for this guy but what they did for us. 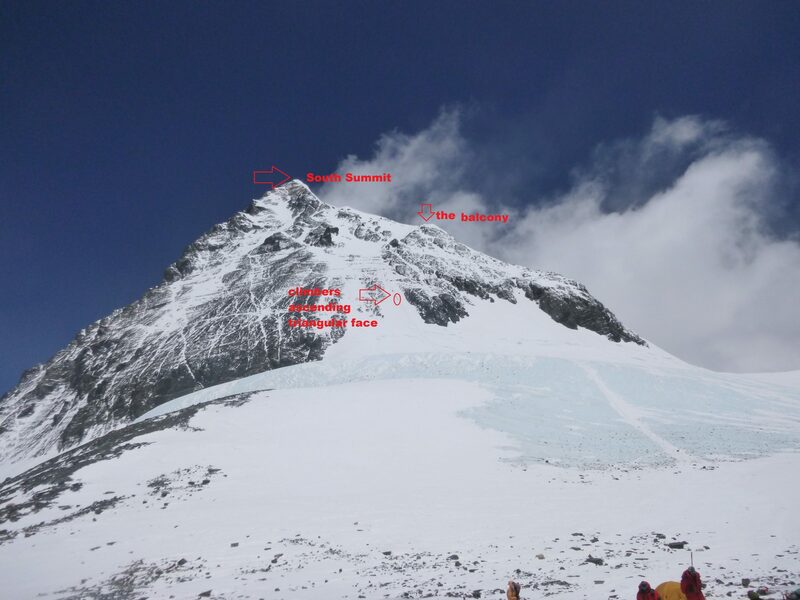 I have annotated a shot from the South Col on May 23 prior to our ascent with landmarks. Understand the South Col is at 26,000 feet. Look closely and you will see climbers on the triangular face. You can see part of our team getting ready below. We had been climbing up to this point for several days, spending two nights at camp 2, one night at camp 3 and eventually two nights here, not including the complete day ascending from the south col to the summit and back. For me it was 24 hours of movement on Everest from this point. Thanks to Cole at WBIR for his interest. Many thanks to Alan Williams for his interest and coverage. It was a lot of fun! Many thanks to reporter Kylie Hubbard for this one! 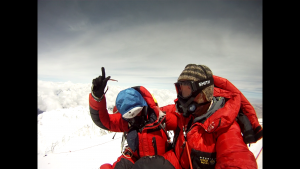 On May 23, Knoxville resident John Quillen sat on top of the world. But the climb to the summit of Mount Everest wasn’t typical. Quillen, a drug and alcohol counselor, arrived in Nepal in early April and hiked for 10 days to reach base camp. From there, Quillen met Neal Kushwaha of Ottawa, Canada, and spent a month participating in acclimatization — climbing between camps one, two and three to get used to the changes in altitude. 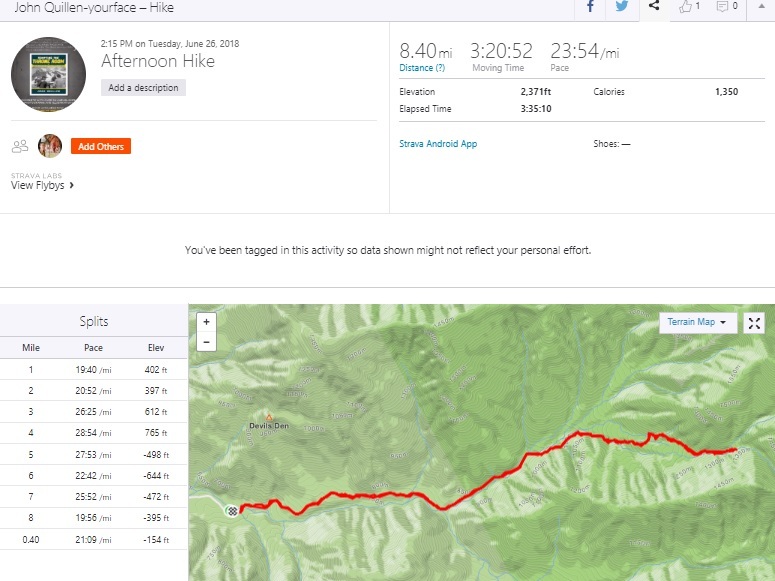 On May 18, the pair, along with their Sherpa companions, started their push up the mountain and by May 20 found themselves in good standing between camp one and two, and were taking a rest when the unthinkable happened. An oxygen bottle fell from a higher point in the mountain and struck at least two people, including the head of a Sherpa. The Sherpas are a Himalayan people whose members often serve as porters on mountain-climbing expeditions. “The ugliest part about it is that several people walked by this guy and did not help him, in both directions up and down,” Quillen said. Kushwaha and Quillen knew that they couldn’t be bystanders, so they moved into action. The duo along with their Sherpas moved the man hit in the head to a safer location before Quillen moved to help a different man who was struck on the leg, ripping his body suit. Meanwhile, Kushwaha and his Sherpa tended to the head of the injured Sherpa, as blood continue to come from his wound. 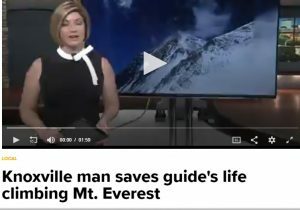 To make a safe area for a helicopter rescue, Kushwaha and his Sherpa moved the man several feet down the mountain, losing a lot of ground that had already been climbed. 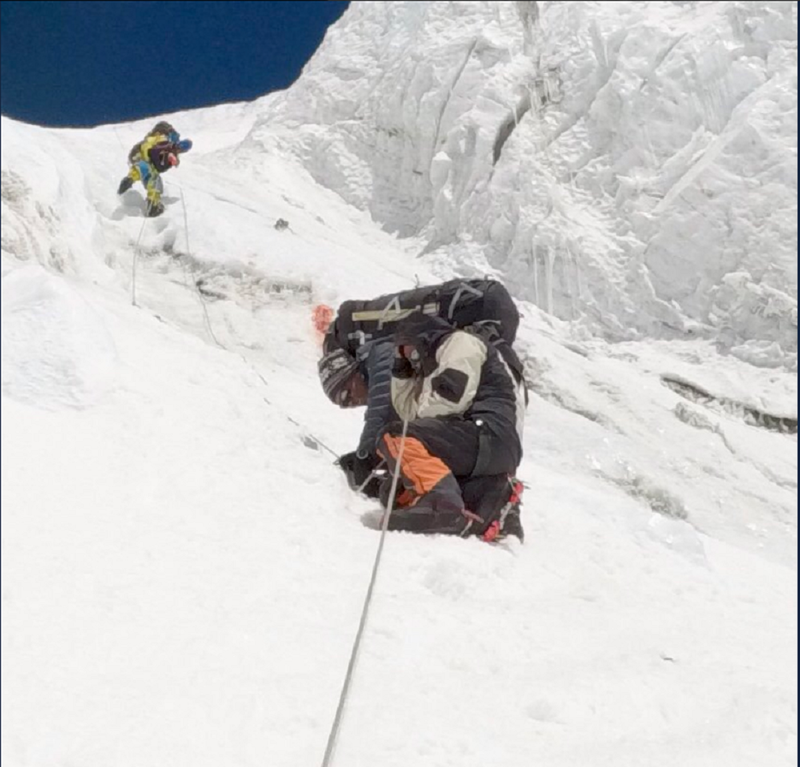 Once the injured were secured, Quillen and Kushwaha along with their Sherpas moved quickly to camp three, but were physically and emotionally exhausted. “That’s where good fortune I think favors our attempts to help him. 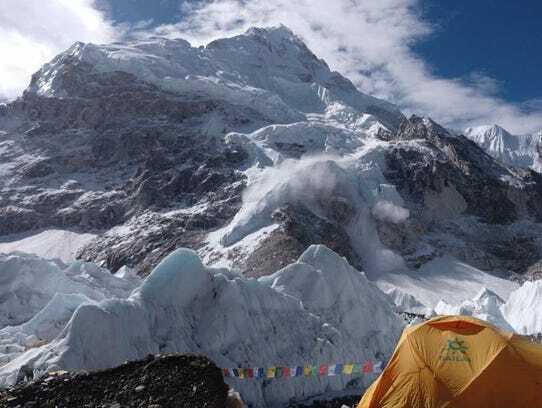 It put us into camp three probably late at night around 9:30, 10 (p.m.), which is way too late to be going up the most dangerous part of the climb, the Lhotse Face, which pushed our whole summit schedule ahead several hours,” Quillen said. 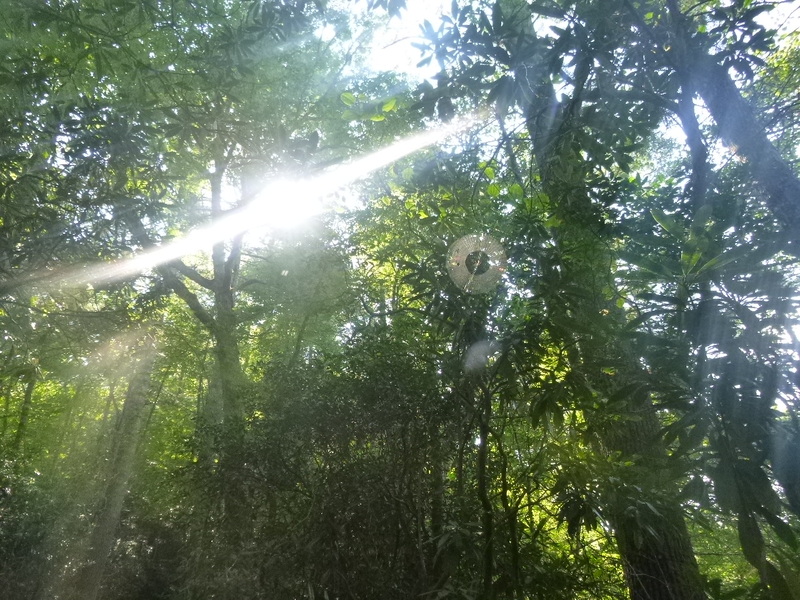 This advancement in schedule allowed the duo to take their time to camp four, commonly referred to as “The Death Zone.” They arrived late on May 21 to stay their first night in the the Death Zone, where they experienced rough weather but a clearing the next morning. 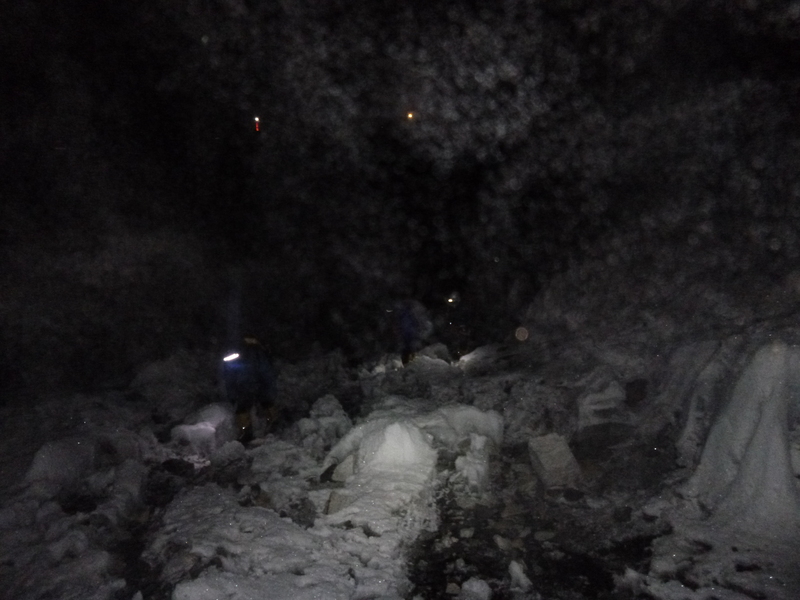 At 7 p.m., the team started their summit push and arrived early the next morning to a nearly empty mountain. Quillen spent a total of 45 minutes on the summit and Kushwaha spent 35, when most get about enough time for a picture. 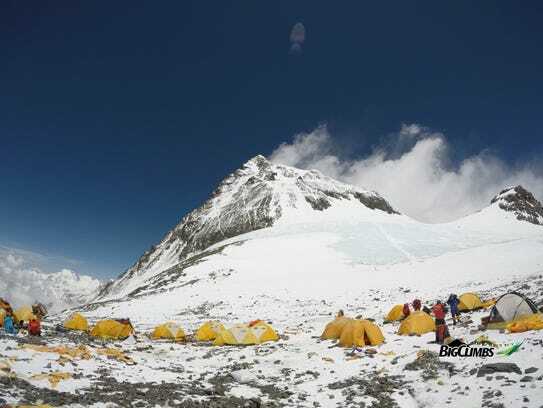 The two spent two more nights in the Death Zone before heading back to camp two on May 25 and base camp on May 26. It comes with the territory for me. Everyone knows I had a bit in 2011 following my summit of Muztah Ata. So predisposition to the mountaineers disease is a recurring possibility. 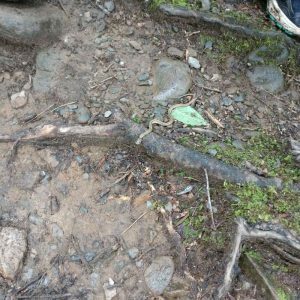 As I descended from Everest’s summit last week, my toes on the right foot developed a familiar throbbing. Getting off Sagarmatha was a priority on multiple levels. I’m still floating on air since my 24 hours above 8000 meters to the summit of Mt. Everest four days ago. It seems like yesterday. I realize that it will take a while to assimilate the events. 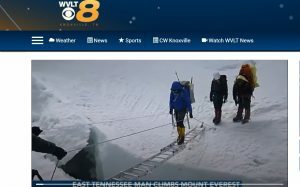 One thing that has not been revealed was our role in the rescue of a seriously injured Sherpa at the beginning of our summit push which altered the entire schedule to our advantage. 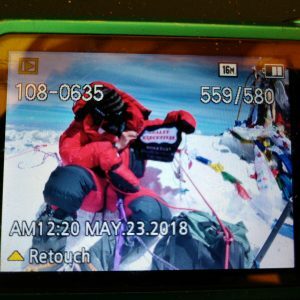 On May 21, our full team headed up to camp 3 on our summit push and started up the bergschrund on the base of the Lhotse face. Immediately an oxygen bottle comes tumbling down the 45 degree slopes and careens over our helmeted heads. 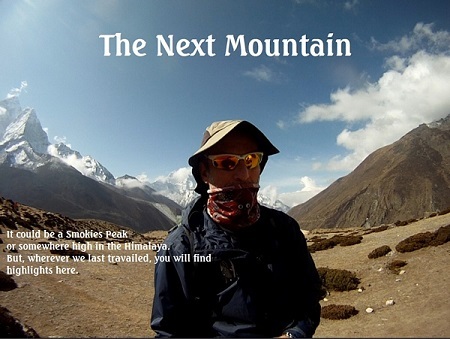 Sherpa eschew helmet use for one primary reason. It prohibits use of the endemic forehead strap that connects them to occasional 100 lb loads. This day, it would almost prove fatal for one heavily laden porter. Subsequent to the oxygen bottle near miss, I, along with my Sherpa, Ang Dawa and Neil Kushwaha along with his Sherpa, Sange paused to re evaluate the safety of the route given the recent spate of projectiles. Within two minutes a large rock dislodged from ascending teams on what was becoming a typically blistering day in the Western Cwm of Everest. The dull thud unmistakably suggested that someone had received the business end of this one. A fully suited Sherpa came dragging towards me. Down was leaking from a profuse gash in his suit. Aside from the obvious injury to an expensive down garment, this high altitude dude appeared uninjured. He pointed at the hockey stick gulley and indicated there was another victim. Neil, Dawa and Sange rushed to the scene as ascending climbers ignored the splattered blood and crumpled form in a pool at the base of Lhotse. A sizeable rock, which had clipped the first Sherpa nailed this poor porter. Neil and our Sherpa essentially carried this considerably bloodied chap to a safer point off the fixed line. Blood was everywhere. We immediately found a pair of his socks to apply pressure to his skull. It was the one thing Icould recall from my last first aid class years ago. This Sherpa was in trouble and was in shock. He couldn’t remember his name. We gave him water and immediately got on the radio. 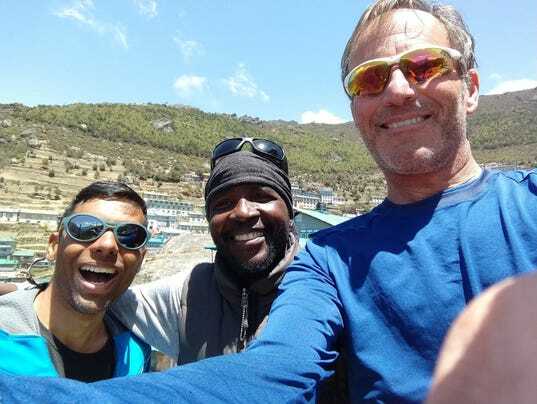 It was Neal, Sange and Dawa who reached Kaji, our Sirdar at Basecamp. From there, Kaji was able to get in touch with the HRA who dispatched a helicopter. The helicopter made a high altitude rescue above camp 2 and this Sherpa was airlifted to Kathmandu. My Sherpa and Neil walked many extra feet to ensure this guy would live to climb again. The resulting delay caused us to depart from the South Col one day late. In my next post, I will explain how this made all the difference. Right now we are on hold in Namche Bazaar as flights from Lukla are on weather hold. Thanks for following, I will post more photos soon.